A screenshot of Half-Life 2, taken from the store page. Last week, former Valve writer Marc Laidlaw posted his version of what might be a genderswapped plot summary of Half-Life 2: Episode 3 on his portfolio website. (There’s a version with the names swapped back here). Now there’s a game jam based on the synopsis that lets Half-Life fans bring their sequel visions to life. Last Saturday, game developer and Zam Editor-in-Chief Laura Michet launched the Epistle 3 Jam on itch.io. The jam has only one rule: to use Marc Laidlaw’s script either “in whole or in part of a style of your choosing” to create a game. Developers can use either Laidlaw’s genderswapped characters or the original ones, and they are free to use whatever genre or artstyle they see fit. A screenshot from the original Half-Life, taken from the store page. The Epistle 3 Jam reflects a lot of the excitement surrounding the discovery of the possible script. “Some say the dream is dead. WE SAY... THE OPPOSITE. Half Life 3 is finally free, where it belongs: out in the world, with us,” the website declares. Fans of the Half-Life series have been waiting for new installments for a long time, and in between there have been many remakes and reinventions. Fans have all but given up hope that more of the beloved series would ever come, so the release of this script is especially exciting. But Michet said that she felt sad when she learned of the synopsis. In the end, Michet hopes that these fan creations will serve as an homage to the original creative team behind Half-Life. 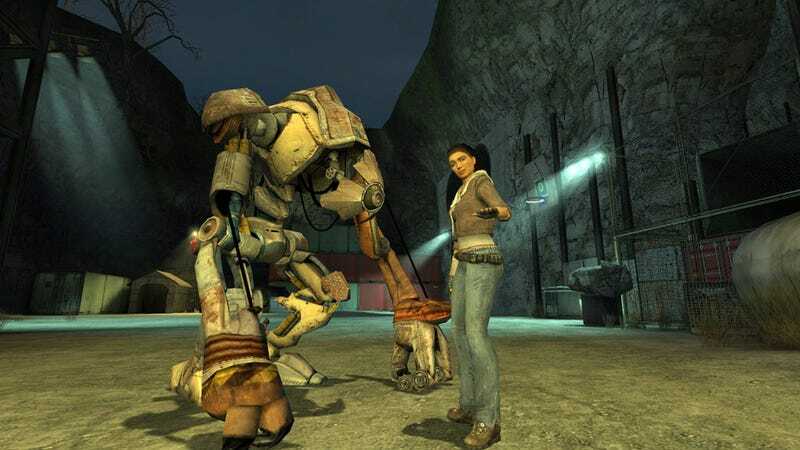 “I hope that from my perspective we can honor the people who worked on Half-Life 3 and came up with the synopsis and never got to make it,” Michet says. The contest lasts until October 31st, so if you’re interested in participating, you better get started. You can look for teammates here. Have you never made a game before? Michet also provided helpful links on how to make a game with little coding experience.